Maintaining a swimming pool doesn’t come easy. Pool maintenance costs tend to be a great and harrowing issue among pool owners, more so because they just get more and more expensive as the years go by. Pool maintenance really isn’t all that much of a hassle if several money-saving factors are taken into account, unfortunately, not a lot of people know this. There are generally two kinds of pools, the in-ground and above ground pool, with the former being associated with the more affluent, while the latter is everyman’s summer pool. Of the two, an in-ground pool is the hardest to maintain, often raking up the most in pool maintenance costs. In this article, a few tips will be given on lessening pool maintenance costs to make keeping a pool easier on your wallet. 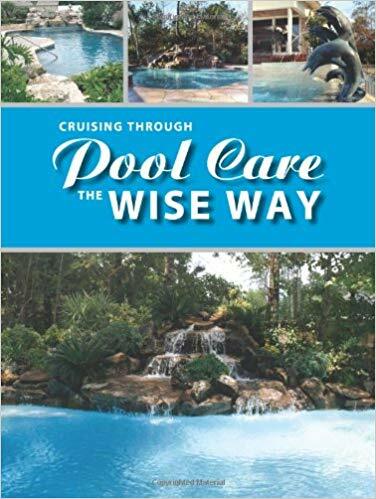 First of all, an in-ground pool usually curtails maintenance on many levels, namely, the pool itself, the features of the pool, and the pool water. Maintainance begins by ensuring that a pool is properly constructed, as it is often with construction flaws that a pool begins to be more trouble than it’s worth. A routine check of the pool’s tiles, grout, and any other possible damages every six months or so will help you save hundreds of dollars’ worth repairs by solving any possible problem before it becomes worse. While it is a given that your pool is cleaned regularly, opting to do it yourself instead of hiring some help can also save you money. In-ground pools are more prone to the production of algae, and in the event of hard water – calcified build-up. Cleaning the sides of the pool with a specially designed long-handled brush and some detergent helps remove any gunk sticking to the sides. A follow-up cleaning of the bottom of the pool for any dirt or debris that may be there should round things up. Even though you don’t necessarily save that much by opting to do the cleaning yourself, you’re still on your way to saving up on pool maintenance costs – with the added bonus of keeping yourself trim. Ensuring that the water remains in excellent quality is yet another way to cut down on pool maintenance costs. Maintaining the purity of your pool water will prove difficult if sanitary measures like chlorination are taken for granted, incurring more costs that are needed. Furthermore, if you have hard water, a water softener does wonders to help avoid calcification build-up in the tiles which can be very difficult to remove. Investing in a pool cover, though costly can greatly improve your chances of lessening pool maintenance costs, as it helps prevent leaves, dust, and other particles from falling into the pool and sullying the water. While pool accessories are meant to assist in the upkeep of a pool, they can do more harm than good if they don’t function properly. Routine check-ups help ensure they function properly, and doing some of the work instead of leaving it all to automation actually saves you a lot of money as the automated systems don’t have to work non-stop to eat at your electricity. Careful spending and undertaking labor wisely are great ways to reduce pool maintenance costs.